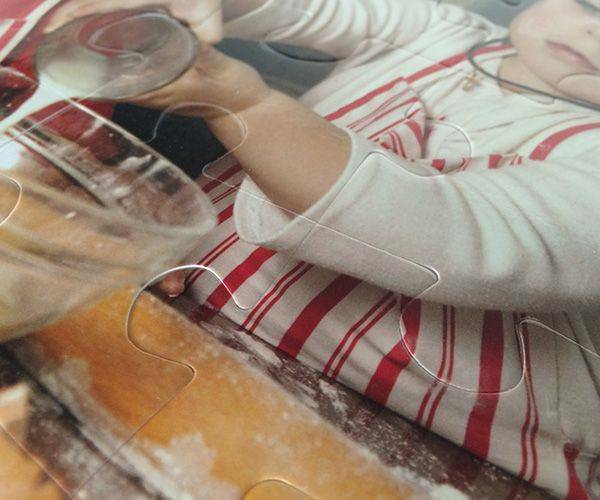 Personalise 35 piece plastic jigsaw with your own photo! 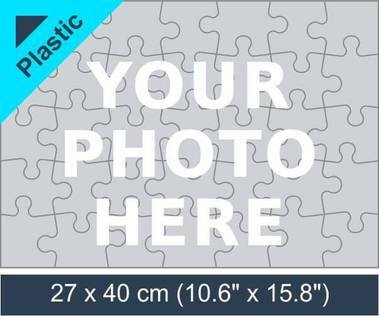 35 piece personalised plastic jigsaw puzzle will make a great photo gift, as it will be one of a kind! 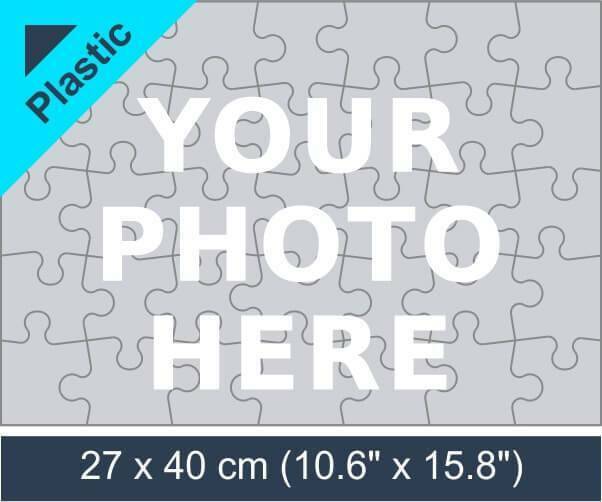 Just upload your photo to create your own personalised 35 plastic jigsaw puzzle. By ordering a plastic jigsaw puzzle you will also receive a beautiful puzzle box with your photo printed on the lid! 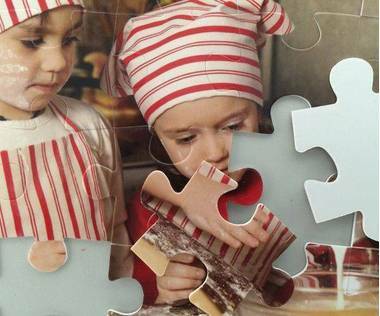 Cardboard jigsaws have been given as gifts for many years and while they could be looked after, if the puzzle was completed a few times it was likely that the pieces would get a little bent and sometimes hard to put into place. A 35 piece plastic photo jigsaw will not present these problems. They are going to be a lot more durable and as they are quite a good size – 2.13” x 2.24” and 0.8” thick, it is a lot less likely that they will get lost. Due to the subject of the jigsaw, there is also bound to be more of an effort made when it comes to looking after them as the owner will not want a piece to be missing. However interesting the puzzle is, there is going to come a time when it has been made up a lot and there needs to be a break taken. If the child is a little older or other photo jigsaws have been purchased it could be time to turn this into something else. Now it is time for the 35 piece plastic photo jigsaw to become a picture in its own right. All the pieces can be put together and then stuck into place. 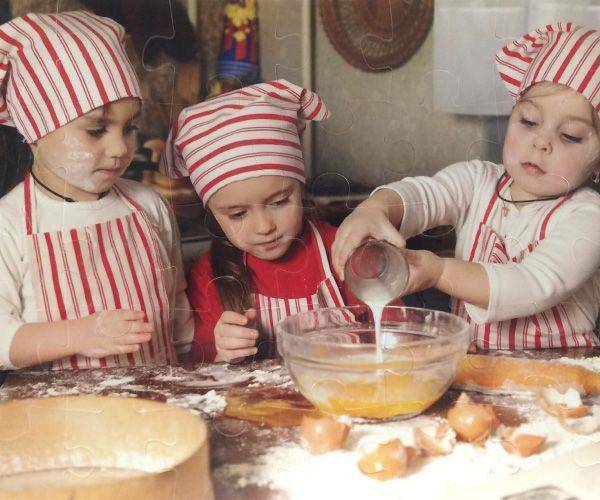 By putting a covering over the top and then buying a frame, there will be a lovely picture made and over the years a timescale of the child’s growth can be produced. The resolution of the picture needs to be at least 1600 x 2400 pixels and when completed will measure 10.6” x 15.8”. They will be just under an inch thick and this need to be taken into account when the frame is being selected. Clearly, this is thicker than many prints so a generic frame might not be necessary. 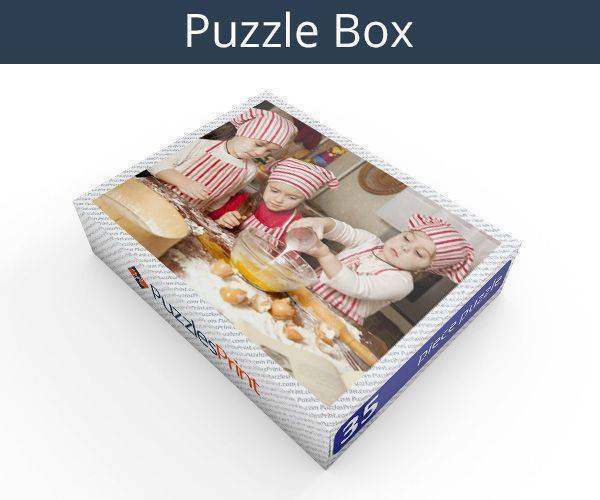 There is a second picture that comes with the jigsaw, as the image is also printed on the box. 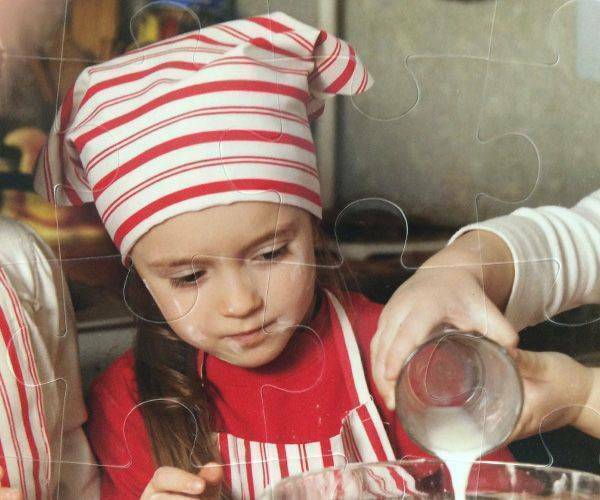 Ordering 54 plastic photo jigsaw puzzle is explained in great detail and once the picture has been uploaded and set into the correct position there is not a lot to do. Add a personal message in the text box and you are ready to press buy and place the order.